This is turning out to be a great day and it's only 9 am!! I tuned into the first day of UStamp With Dawn and Friends Year-end Blowout to see that I am the first featured stamper! How exciting!!! 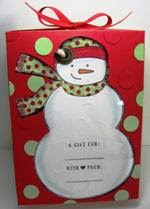 If you would like to have the pattern and instructions for this Snowman Tag Box and a new project every day this whole month, sign up for UStamp HERE! It's so fun to tune in each day and see a new project with complete pdf instructions. The site stays up a long time after this session ends so you can have access to all these projects even after Christmas. Read about UStamp and what it is all about HERE. You know why you should join in the fun? Look who is on board for this session!!! How could you resist that line-up?? What a super cute box! Becky, I have purchased two memberships to U Stamp with Dawn and friends but I can't find the template for this box! 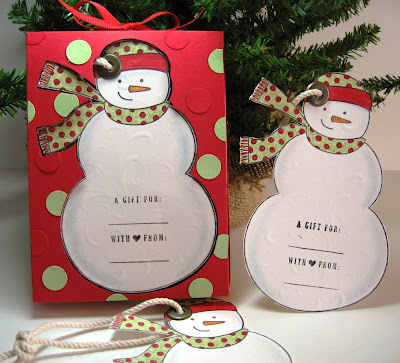 I have the PDF for the snowman tag box but would love to be able to make this box! Can you help me? Debbie, This box was featured in UStamp Year End Blow Out. Did you subscribe to that one?